Awesome. Enormous. Essential. At risk. Recently, WWP took action to protect grizzly bears in the Upper Green River from government-approved killing on behalf of livestock industry. The mismanagement of public lands and an ongoing hatred for predators bigger than humans have combined to put the biggest land mammal in a tight spot. 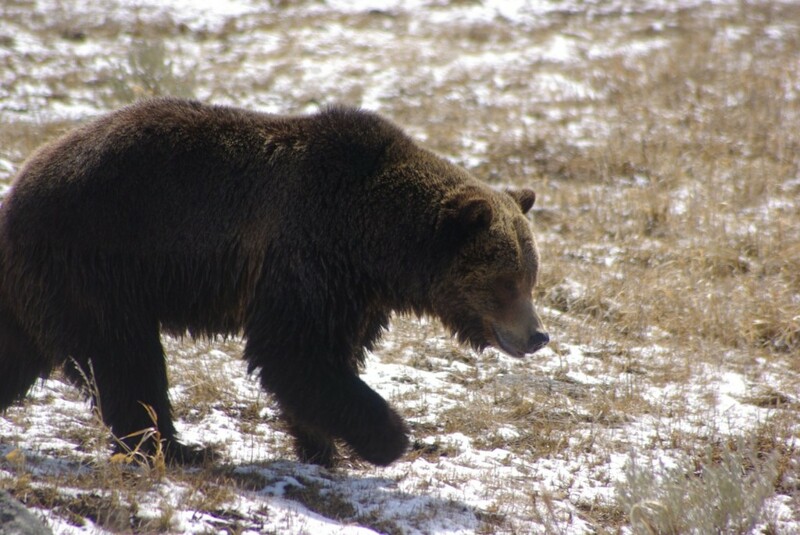 Having once ranged from Alaska to Mexico, grizzlies are now found in just five populations in western Canada, Alaska, Wyoming, Montana, Idaho and Washington. In the lower 48 states, grizzlies are rare and at risk due to factors such as climate change, decreasing food sources, increasing lethal conflict with humans, and decreasing commitment to federal Endangered Species Act protection. Western Watersheds Project works to protect grizzly bears through its litigation about the proper ESA listing (see here and here) and through site-specific advocacy seeking to reduce livestock conflicts in the bears’ range. In particular, the Upper Green River watershed of Wyoming is a hotbed of grizzly habitat being overrun by sheep and cattle grazing operations, resulting in high conflict and, too often, the lethal or permanent removal of the native predators. WWP has sued to stop the government’s killing of these majestic animals and supports the removal of the conflict-causing livestock from the public lands that comprise the bruins home.